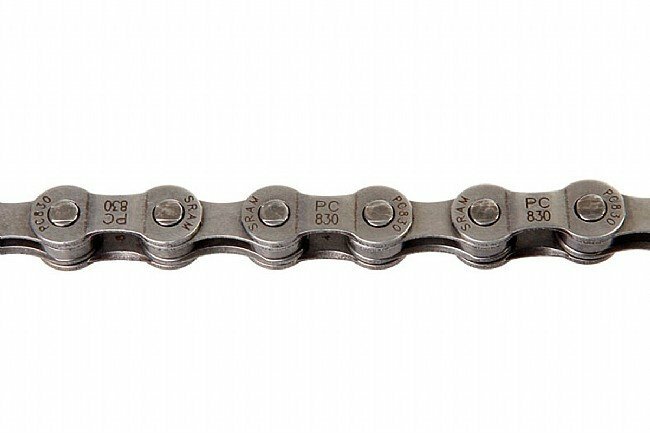 The PC-830 is a basic yet great performing chain for 6, 7, or 8 speed drivetrains. Step™ Riveting process for incredible pin strength. Powerlink tool-free connector included. Grey. 7.1mm width. 1/2" x 3/32" Pitch. 114 links. 318 grams.